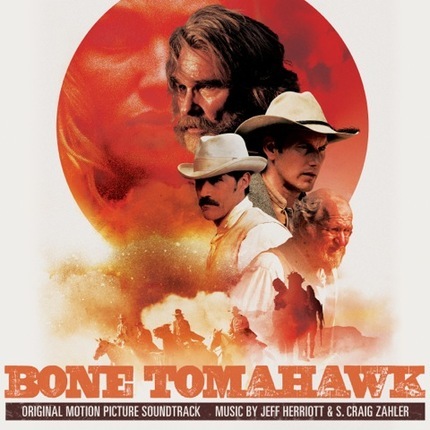 Kurt Russell stars in upcoming S Craig Zahler directed western Bone Tomahawk and with the film due to have its world premiere tonight at Fantastic Fest we've got an exclusive piece of he original score by Jeff Herriott and S Craig Zahler to share. On October 16, Lakeshore Records will release the soundtrack to Bone Tomahawk, starring Kurt Russell, Patrick Wilson, Matthew Fox, Richard Jenkins and more. The album features original score by composers Jeff Herriott and S. Craig Zahler. Bone Tomahawk will debut at Fantastic Fest on Thursday, October 1, with director S. Craig Zahler, Kurt Russell, Matthew Fox, Patrick Wilson and Richard Jenkens scheduled to be in attendance. Caliber Media and the Fyzz Facility presents Bone Tomahawk, opens in select US theaters on October 23 via RLJ Entertainment. Have Your Say: What Is Your Favorite 21st Century Western? Nice, but I'd rather see a trailer.